Today we are sharing a fun craft for kids from Mommy Moment as part of our brand new feature! We’ll be sharing crafts from other amazing bloggers with you at least once a week. 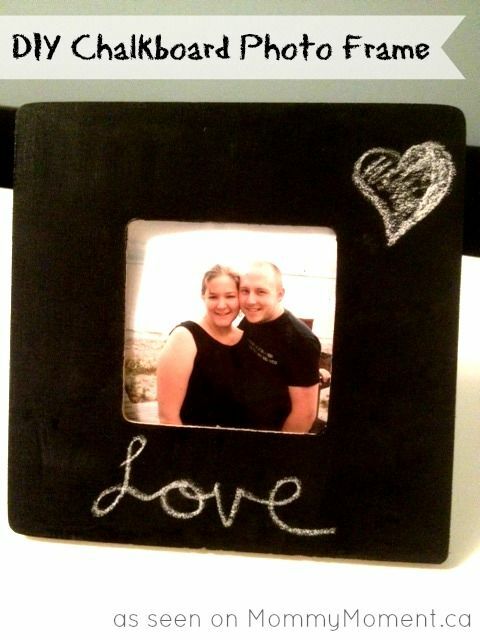 Check out this adorable DIY Chalkboard Frame, then read on to see how you can be featured here! Jennifer created this fun craft for kids while she was feeling under the weather, which should give you an idea of how easy it is! All it took was a wooden frame, a little chalkboard paint and a bit of creativity. We love how she links to a recipe to create your own chalkboard paint in case you don’t want to use store-bought paint. This would make a fantastic project for Valentine’s Day! Think of the possibilities! Your children could make it for your spouse with a nice family photo in it, or a picture of themselves for grandparents. Make one for your home and update it with each season! Take Jennifer’s idea of using different colored chalk to really create a fun effect! You could use red for Valentine’s Day, light blue for Easter and so on! Head over to Mommy Moment to check out how to make this cute DIY Chalkboard Frame. Do you want to see your craft for kids featured on My Kids Guide, where we can share it with our readers? Simply visit our craft submission page to review our guidelines, then fill out the form! While we do love seasonal crafts, we also share crafts that can be done any time of the year. We’ll be featuring different crafts each week. We also use that form to choose crafts to feature in our roundup posts as well as for sharing on Facebook. All links go back to your site so readers can visit and find out how to make the craft. This would be a great project for kids to make at school for a Mother’s Day gift.